The motorcycle riding test involves many manoeuvres and riding situations that you’ll encounter when fully qualified and out on the road. One of these being the hill start. A motorcycle hill start is where you may pull over and stop at the side of the road and move off again whilst on an uphill gradient, or stop during the normal course of riding in busy traffic on an uphill gradient. WHY MUST I LEARN A Hill START? Other than being a manoeuvre that you’ll likely encounter as a qualified rider, it’s a manoeuvre that the module 2 riding test examiner will request for you to demonstrate during your test. How steep the gradient that you are required to move off from during your test is of course dependent on your location. 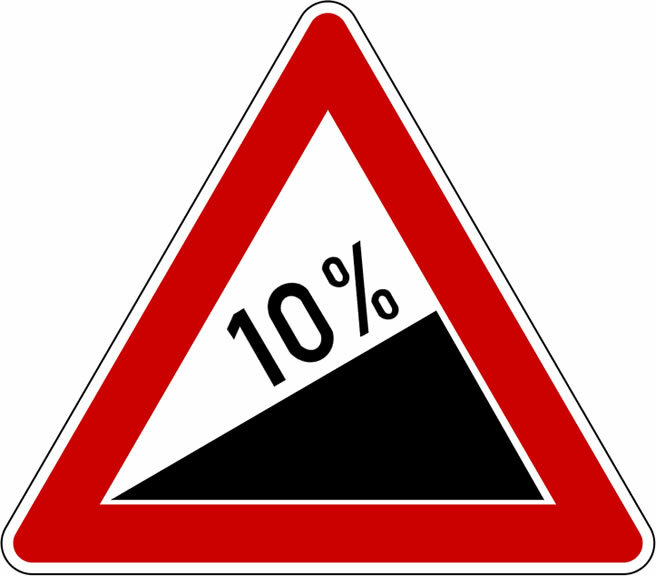 A hill start is similar in most aspects to the basic moving off manoeuvre. So before attempting a hill start, you’ll need to have learnt moving off. This will typically be practiced on a flat, level road, clear from parked vehicles and other potential hazards. Moving off uphill requires getting the motorcycle ready to go, in gear just as you would when moving off normally. Don’t forget to check mirrors and blind spot before moving and a signal may be required if any road users or pedestrians may benefit to know your intentions. As this is an uphill gradient, your motorcycle may move off slower than normal, so it’s important that you allow a safe enough gap between traffic to allow more time to get up to speed. As already mentioned, allow for more time between traffic as pulling away may be slower depending on the gradient. Your motorcycle may also roll back. To avoid this, use the clutch and throttle to find the bite point. If you do start to roll back and cannot hold the weight, use the rear brake to stop and find the clutch bite point again. A combination of clutch, throttle and finding the bite point will help to prevent you from rolling back. Once you have found the bite point, begin to release the rear brake and increase the throttle. Avoid applying the rear brake for too long as you may stall. Once moving, you will likely need more throttle uphill than you would moving off on a level surface. On the module 2 riding test, the examiner will request a hill start to assess your control of the vehicle. In particular that you do not continually stall and that you do not roll back. Practice hill starts until you are proficient in preventing this. These are the key points to remember when making a hill start, and also what the examiner will be checking during the module 2 road test.